Does PokerStars´ Time to Act Change Go Far Enough? 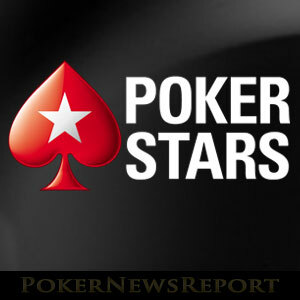 Home » Poker News » Online Poker News » Does PokerStars´ Time to Act Change Go Far Enough? PokerStars is hoping to improve the player experience by reducing the length of time available to make pre-flop decisions in microstakes cash games. From Monday, players at PokerStars´ $0.01/$0.02 NL Hold´em and PL Omaha cash tables should find the action happening a little faster. That is the hope of the world´s largest online poker site, who are trailing a change to the “Time to Act” settings to speed up the action and improve the player experience. 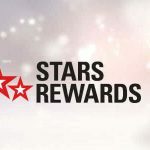 Explaining the change on PokerStars´ corporate blog, Dan Price – PokerStars´ Ring Game Manager – said it has been prompted by complaints about the length of time some players take to make their betting decisions, and he implied the change could be extended throughout the rest of the site in the future depending on player feedback. Not a lot. Players at the PokerStars´ microstakes tables will now “only” have 12 seconds to act if not facing a pre-flop raise (previously 18 seconds), and 15 seconds to act if facing a pre-flop raise (previously 25 seconds). The time to act in the post-flop action has also been reduced from 25 seconds to 15 seconds. We will monitor the impact that these changes have on the games and will, as always, listen closely to the feedback of our players. We seek to keep our games fun, exciting and engaging for all players but appreciate that there may be some players who are upset with the new pace of the game. However, we are confident that this is a big step in the right direction for the vast majority of players. Could PokerStars have Done More? In relation to the time to act change, few players will notice any difference. Microstakes cash games tend to move faster than those at higher levels and a reduction in the time to act will hardly impact the player experience. If PokerStars is genuinely interested in improving the player experience for the vast majority of players (especially recreational players), the change should have included $0.05/$0.10 cash games, and maybe even $0.10/$0.25 cash games – which can move at an infuriatingly slow pace. Could PokerStars have reduced the time to act by more? In his blog post, Price wrote the site had simulated various options before arriving at the 12 seconds/15 seconds settings and he believes the new settings will allow plenty of time for key decisions. Hmmm. Isn´t that what the time bank is for? Hopefully, if PokerStars extends the change to higher stake levels in order to improve the experience for recreational players, the time to act will be further reduced – and applied to Zoom games. 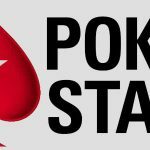 Being recreational players ourselves, we here at PokerNewsReport believe it is about time something was done to improve the player experience in PokerStars´ tournaments – not just with the time to act, but also with the ridiculously long periods of late registration. Most worthwhile tournaments have up to two hours late registration, and although PokerStars might argue its needs the extra time to maintain attractive guarantees, surely not in tournaments with $1.00 to $5.00 buy-ins. Imagine the scenario if PokerStars were to reduce the late registration on its “Big $1” from two hours to thirty minutes. 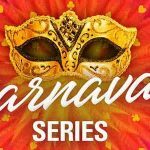 It could lose maybe fifty entries and up to $50 if the tournament failed to meet its guarantee. How much would that hurt PokerStars´ bank balance? Not a lot. How much would it improve the experience of recreational players who now only have to play for 2½ hours to get into the money rather than 4 hours? How much would it encourage players to continue entering these tournaments? Do You Have a View on PokerStars´ Changes? Naturally, our views on PokerStars´ changes are based on our own personal experiences and, although we appreciate want PokerStars is aiming to achieve, we believe they could have gone a lot further. Maybe they will in the future. If you have a view on the current PokerStars´ changes, or an opinion on what should be changed in future updates, please leave a reply in the Comments Box below.